Generally it’s my policy to never use cool, young phrases like “real talk” (because I am not very cool) but when it comes to pricing, it’s only appropriate. At the beginning of this great cookie adventure, I charged a whopping seven dollars a dozen. Yes, you read right. SEVEN DOLLARS A DOZEN. Go ahead. Faint, laugh, whatever you like. I won’t hold it against you. It still gives me palpitations to think about it. The reason? Because I didn’t know any better. As comfortable as I felt asking technical questions, my southern manners would not let me ask another decorator about money stuff. Fast forward a few years and I’ve moved past the whole income taboo. I have now made it my mission to prevent other cookiers from repeating my mistake. In the interest of preventing a few late night nervous break downs, I decided to put it all out there. When you look at my chart, your first reaction is probably going to be along the line of, “No one would ever pay that much for cookies!” and I understand, because I used to believe that too…but it’s simply not true. 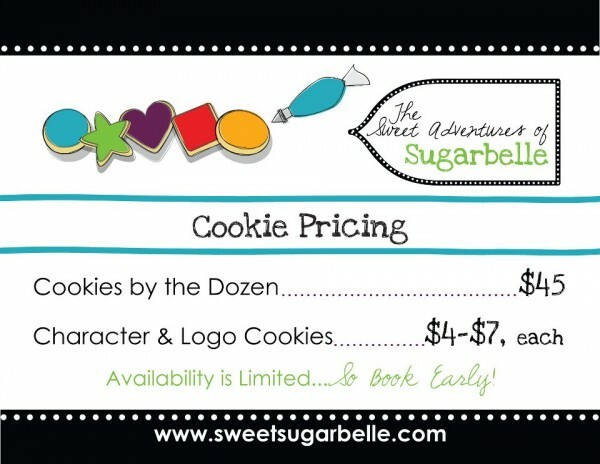 These days I charge a fair price for cookies and I still sell cookies*! I’m not selling twenty dozen cookies a week anymore, but even making half as many I can still make the same amount of money. I’m sure everyone can get down with that. So here it is. My very own printable pricing chart (adapted from Cakes by Alana). 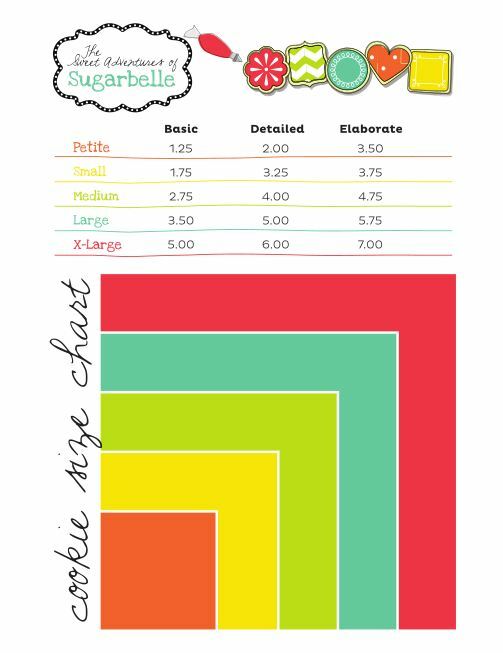 Here’s a breakdown of the actual cookie sizes (as reflected by the printed chart). 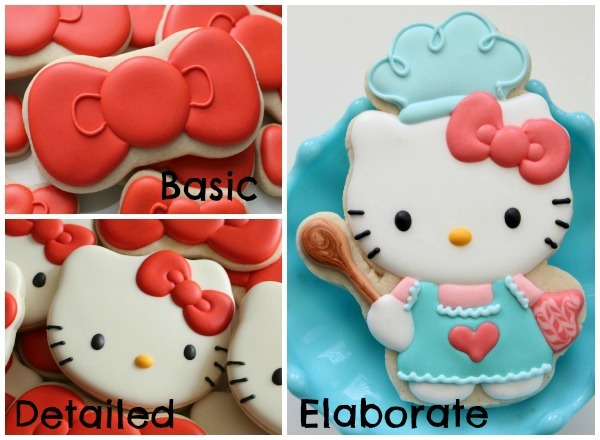 Classifying cookies really depends on the individual decorator, but here’s an example of what I would consider basic, detailed and elaborate. When referring to these examples PLEASE remember that each person must make their own determination of complexity. If I ran the world, every single cookie decorator would AT LEAST charge these prices but I know that it doesn’t always work this way. In my experience, it’s sometimes a little easier to charge by the dozen. If this is you, here’s an idea of what to do. 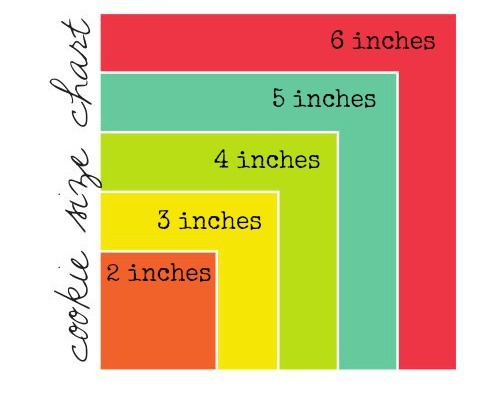 Keep in mind that this is a guideline. If the customer gets all crazy or particular adjust the prices to compensate. 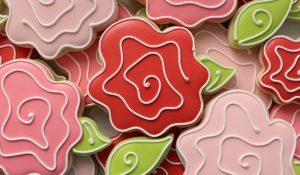 Basically, the customer chooses the theme and the decorator creates a platter incorporating a mix of both simple and complex designs. This ensures that the best value for the money while allowing the artisan to profit from their work, which is the point of selling cookies, right? Regardless of what you choose to charge you should always have set prices written down where people can see them. For some reason, if a customer has written prices in their hand they’re less likely to think of them as negotiable. 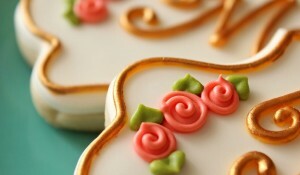 As as for competition, (as in other cookie decorators in your area) squash that thought right now. There is no such thing when it comes to cookies. During my prime, I could make about 20-30 dozen cookies a week. This meant my family ate out more often or not, my husband did 90% of the household chores, and I never slept. What I am trying to say is that no one person can take every single order, meaning fellow decorators are your friend! Rather than wasting time worrying about competition, I encourage you to make friends with local cookiers and set a pricing standard. Then everyone wins. Each person is earning a fair wage plus it never hurts being able to pass off an order when life happens. Of course, there will always be the newbie who charges seven dollars a dozen, but after a few long teary nights I promise they’ll be jumping to make an adjustment. I can really get preachy about this because I have been on both sides of the fence. 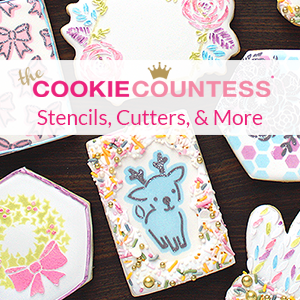 I’ve felt a twinge of guilt over my prices at one time or another, but when I’m up until the wee hours of the morning working on a cookie design that turned out to be much more work than expected, I remember why I do. So rather than rant, I’ll just say this. 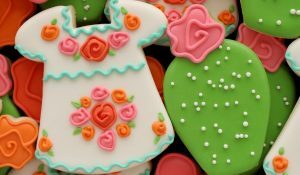 Decorated cookies are a luxury, like cars. Some people buy a Toyota, some buy a Cadillac. Both will get you from point A to point B, but there will always be the people who prefer a Cadillac. Those are the people you’re marketing to, so, do not sell yourself short. Cookies take a lot of time, and your time is money. You should never be in a position to sacrifice time with your family…holidays, little league games, without being properly compensated. *I do not sell my cookies on a regular basis. Under Texas law, I cannot ship so I only take a limited amount of local orders. Thank you for posting this! Great resource. Would it be possible to update the $figures$ to current pricing – or are they already sort of relatively the same as 2019 pricing? I would say that guideline is still relevant. I was at a shop the other day and they had what could be seen as a detailed in between medium and large size for 3.50 a cookie. I think that’s perfect pricing. 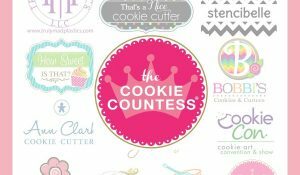 Do you know what you would add if they request that each cookie be in separate packaging?